That’s right, we are now selling the ultimate Christmas present – a one 2 one drone training session with a professional drone pilot. Order now and we will email you a voucher that can be given on Christmas day. 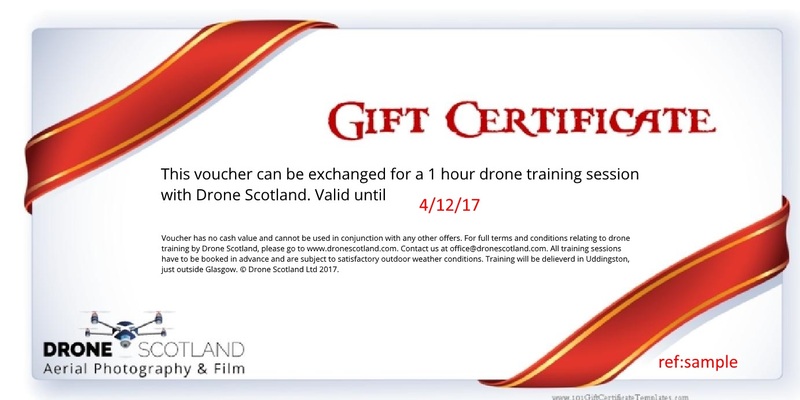 All our vouchers have a validity period of 12 months and our training is held right here, in Uddingston, where we have secure grounds to help you or your chosen loved one become a more competent and safer pilot.